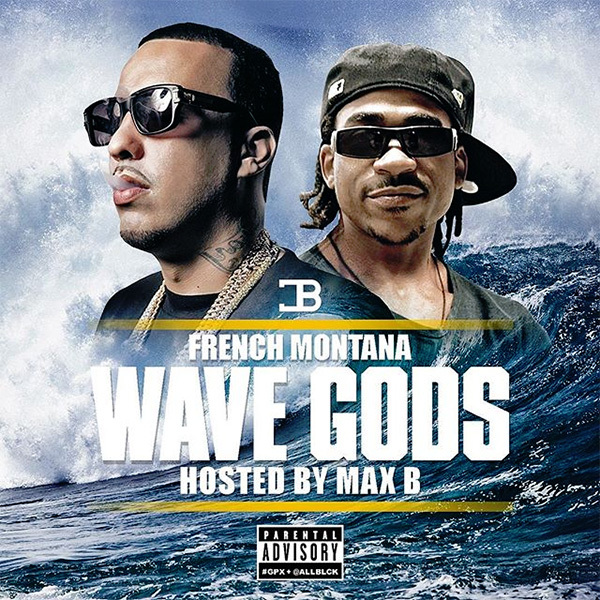 French Montana released his brand new mixtape 'Wave Gods' hosted by Max B. The mixtape debuted on DJ Khaled’s We the Best Radio on Friday (Feb. 19). Chris Brown helps kick the 12-track effort off with the reflective “Wave Gods Intro.” Then, Kanye West and Nas bring their seasoned shine to to the soulful “Figure It Out” as Future bounces on “Miley Cyrus.” Big name guests don’t end there as Travis Scott and Big Sean appear on “Man of My City” and Puff Daddy brings Jadakiss along for “Old Man.” Finally, French’s late associate, rapper Chinx, also delivers with “All Over” and his A$AP Rocky-assisted “Off the Rip” remix.